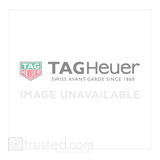 The Monaco, TAG Heuer's iconic square timepiece, is ideal for those who want to stand out from the crowd. 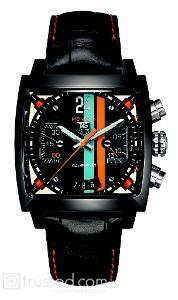 This model features a black dial with orange and blue vertical lines. It is paired with a sporty black alligator strap with orange stitching.